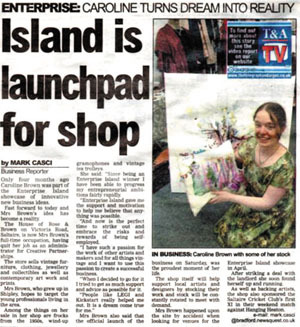 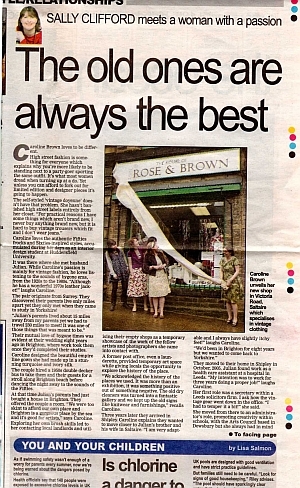 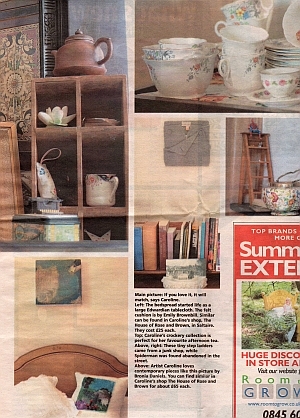 We have been lucky enough to receive great press coverage for The House of Rose & Brown... 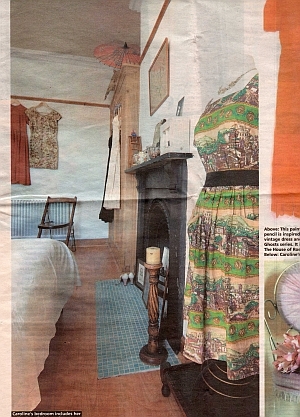 Here are some old clippings. 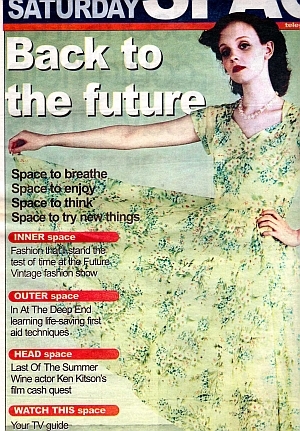 There have been some much more recent articles - one day we hope to scan them and include on this page. 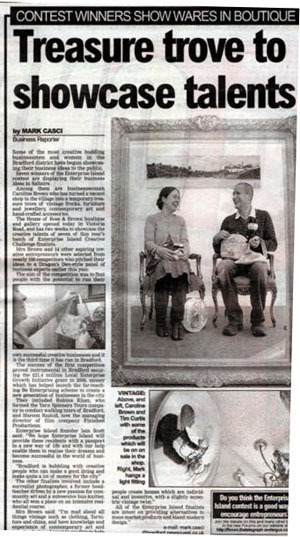 - when it all started! 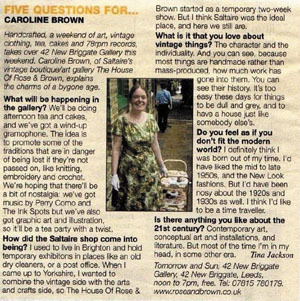 a bit of background about me - find out why I'm into vintage and how all of this started! 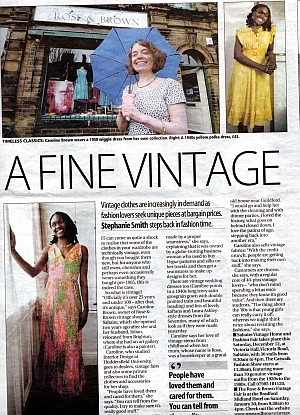 Yorkshire Post - 9 December 2009, promoting our Vintage Fair and Fashion Show - we were given the double page centre spread! 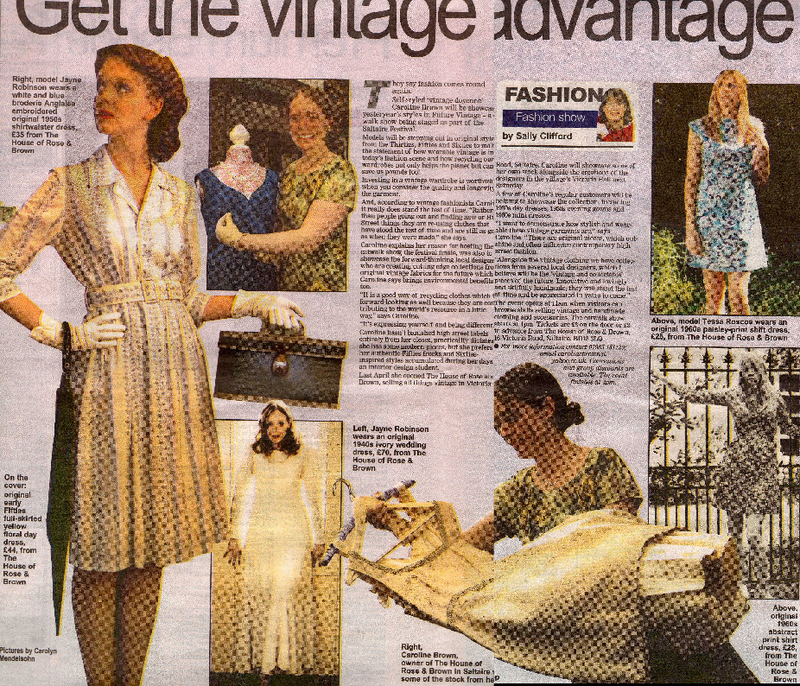 Our model Florie Bentley looks wonderful in Rose & Brown vintage outfits.